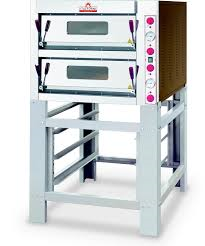 Oven dimensions – 660w x 660d x 150h. 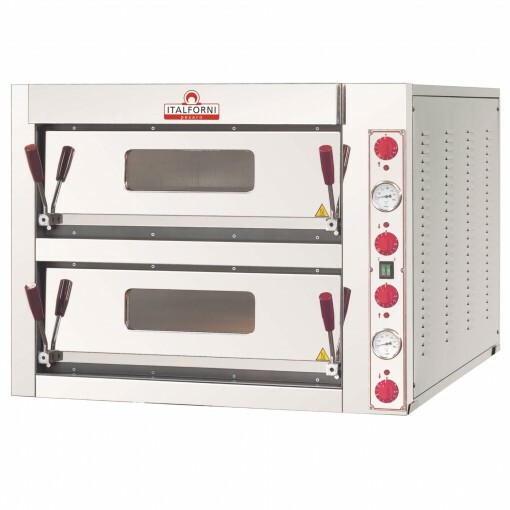 Italforni Double Deck Pizza oven TKA2 4 + 4 . 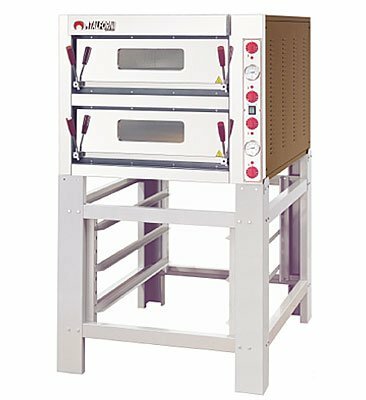 Italian manufactured pizza ovens are finished to the highest quality – with a mirror finish stainless steel front making it ideal for front of house cooking. Top and bottom stainless steel armoured heating elements . Electromechanical control panel . Top and bottom separate power control . Thermal insulation . Max cook temp 450°c . Counter balanced door . High resistance and efficiency halogen lamps . 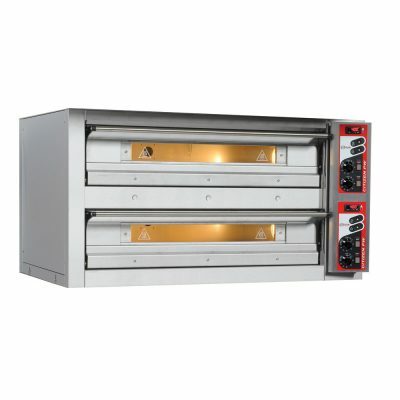 Integrated hood module .Thermal insulation guaranteed by the best materials available on the market and by over 30 years of experience in the design and manufacture of high temperature ovens . 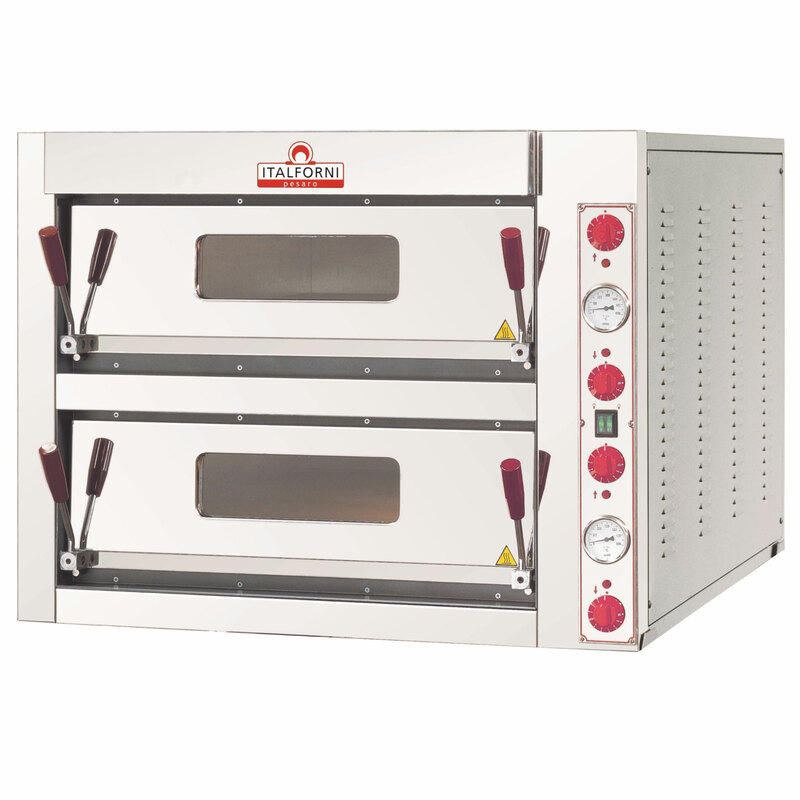 The TK ovens have cooking chambers with independent thermostatic power regulation for baking floor and ceiling. They can easily be controlled and set by the operator and they guarantee excellent cooking results of any sort of food . The counter-balanced front doors improve the opening and closing .